It’s sort of like taxes, except instead of being a thorn in the bum, it’s welcomed by wives across the nation globe. The annual AHuntersTales.com holiday gift guide is back! And the easiest way to get your wish list to your wife / girlfriend / both, mom, dad or anyone else frustrated by your picky hunting needs is to send them right here to this page. Without further ado, here is the 2013 version of go-to gifts, selected after hours of consultation among the AHT staff. Cold feet aren’t just for nervous grooms. I don’t recall a season where I’ve hunted in colder weather consistently than during this deer season. And I have an idea for how I’m going to fix the cold feet that are often times destined during a long sit on stand. I thought I had a formula for keeping my feet toasty, but one sit in a ground blind in the snow and five degrees last month left me with a slight case of frost bite. 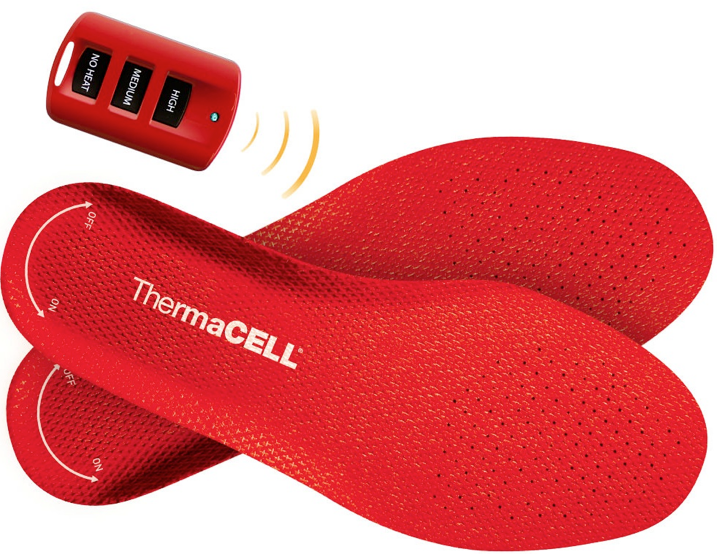 Check out the Thermacell remote control insoles. Available at a number of big box outdoor stores and a number of places online, these insoles are size specific and slip into your boots. The best part is you can control their use while in the stand, meaning you won’t have to deal with sweaty feet that freeze when still. Prices very, but expect to pay around $115 for a pair of the insoles. For the outdoorsman or camper who likes all the gadgets, this one ranks right up there on the “cool” factor. 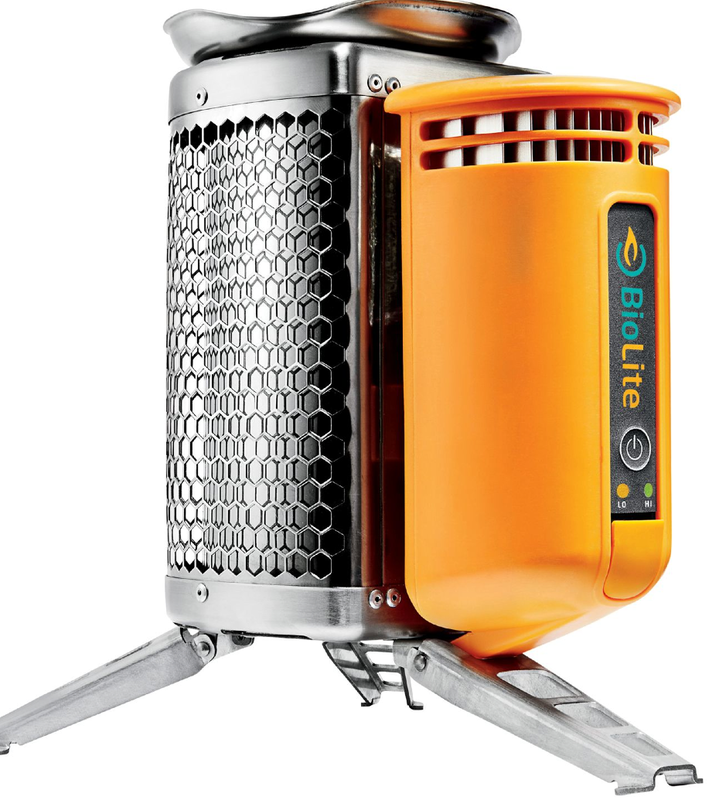 The CampStove by BioLite is not only eco-friendly, but using it can now double to charge your phone by the built-in USB hookup. The mini-stove is only 8 1/2″ x 5″ but can boil a liter of water in less than five minutes. Another item on the pricey side, this one goes for $125 or so online. I’m not sure I ever expected to have ammo on the wish list here, but times have changed. With the prices on ammo continuing to rise, and limits being placed on the volume allowed at purchase, few outdoorsmen are turning their nose to having a little extra ammo in their storage locker. This one takes a little more work to make sure you’re purchasing the right ammo for the right guns, but it can lead to an extra wink from your significant other when done correctly. The other great part is you can customize the ammo purchase to meet your gift budget by quantity. 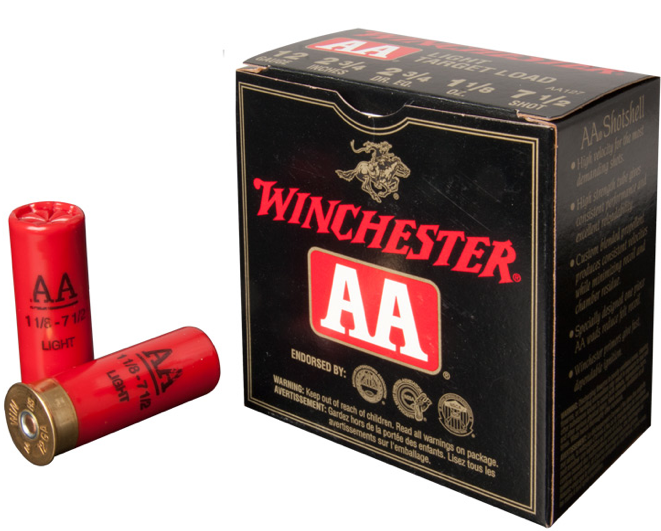 Some target loads start at $7 and a box of hard-to-find rifle ammo will exceed $30. Mix and match to really get it right! Each year, we identify a couple repeat gift ideas. Because they’re that good and we want to remind you in case you didn’t get that gift last year. In addition to a great pair of socks (should be on the list every year), this year’s pick for repeat status is the Havalon Piranta Series Knife. 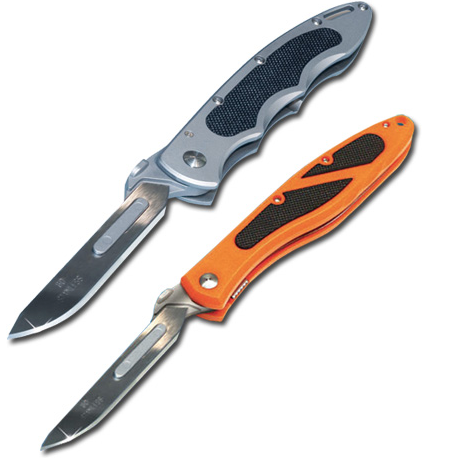 These knives are extremely handy, and a number of manufacturers have developed similar razor-style knives. I’m sure many have similar effectiveness. Regardless of the brand, this is a great tool for the hunter that finds common success afield. The Havalon version sells for roughly $40. My wife and I comment quite regularly how surprised we are by the frequency that we use our smoker to cook food. On the heels of an all-day venison jerky making smoke festival, we have few things that have paid off over and over again with respect to how much we’ve paid for them. Our smoker has done that. I opted for the propane fueled box style smoker, but have friends with the electric version and others with the more barrel-style original style. When used correctly, they’re fantastic for cooking all kinds of meats, vegetables, etc. 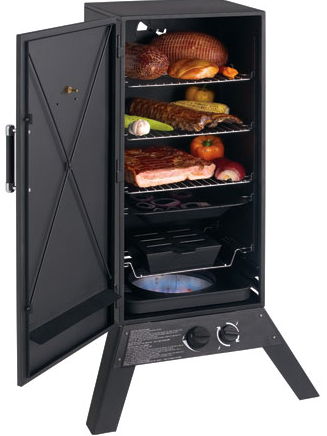 Several box stores have smokers on sale this time of year, meaning you can find one for $150 quite regularly. Well worth it. And remember to buy a bag of smoke chips if your outdoorsman doesn’t have dried hickory at his/her immediate disposal. Admittedly, I’ve yet to read one of the books that’s on my growing “to read” list. 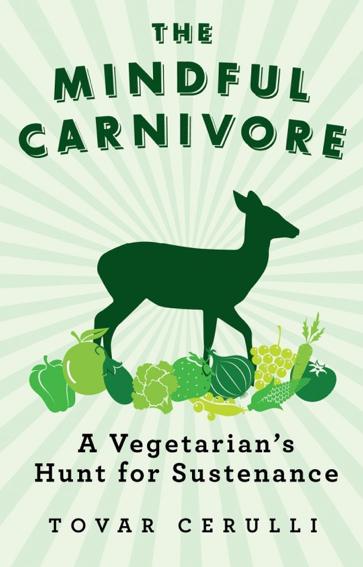 Upon learning more about the book, The Mindful Carnivore by Tovar Cerulli when reading a review earlier this year, it provoked me to add to my list and reminded me to include it in this year’s gift guide. I’ve noticed it on a couple other gift guides in 2013. I have a couple friends who had similar searches for sustenance and it sounds like Cerulli went through a very logical experience that led him to adding meat to his previously vegetarian diet. You can find the book on Amazon.com for under $15. I look forward to reading the book at some point this year. If this list doesn’t quench your shopping thirst, or you’ve bought everything and want to buy more, here are links to the previous four gift guides. Each has some terrific gift ideas that remain relevant and useful. Also, I stumbled upon another gift guide on a fellow outdoor bloggers site. Al Quackenbush notes he’s a fellow Western New Yorker. For that, I’m happy to share his guide as well. Read it on his The SoCal Bowhunter site. Happy Holidays! Remember the Reason for the Season! This entry was posted on Tuesday, December 10th, 2013 at 9:23 pm	and tagged with Gifts for Hunters, Hunter Gift Guide, Outdoorsmen Gifts and posted in 2013, Gift Guide, Uncategorized. You can follow any responses to this entry through the RSS 2.0 feed.